This partnership between BCIT and Maple Ridge – Pitt Meadows School District No. 42 provides a unique opportunity for secondary school students to complete Grade 12 graduation requirements while earning post-secondary credits and certification in BCIT’s Automotive Service Foundations Program. Additionally, students will acquire skills to enter the job market or pursue other post-secondary education. Adult students – those who will graduate in June of this academic year or have already graduated – are welcome to apply. In addition, adult non-grads are also welcome to apply provided that they meet the requirements (see program entry requirements below). What is the Automotive Service Foundations Level One Program? The program consists of technical training and hands on experience preparing you for employment in the automotive industry. Automotive technicians repair and test motor vehicles. They disassemble, inspect and assemble engines and accessories, cooling systems, transmissions and clutches, drive lines, braking and suspension systems. Automotive technicians employ logic and deductive reasoning in diagnosing and troubleshooting mechanical as well as electrical/electronic vehicle systems. 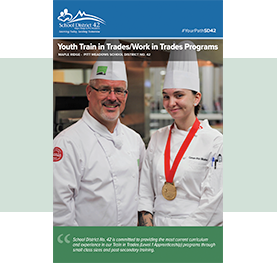 BCIT transfers to the Industry Training Authority (ITA) the student’s name, contact information, Personal Education Number (PEN), and the name and date of the completed ITA Foundation program. This information is used for the purposes of tracking successful completions in order to grant credit towards apprenticeship where applicable, and communicating with trainees to promote continuation in an apprenticeship program. This 30-week entry-level program provides you with the basic knowledge and practical skills needed for entry into the automotive industry. As a graduate, you may pursue a career as a general repair technician or choose to specialize in one of the varied career paths that have emerged within the industry. You will also receive credit for your first level of apprentice technical training from the Industry Training Authority (ITA) and 450 hours credit towards your time in trade. Upon successful completion of this program, you will be scheduled to write the Provincial Level 1 apprenticeship exam. Students who successfully complete AST level one will have completed six courses for 24 credits on the secondary school graduation transcript. They will also receive the BCIT certificate.